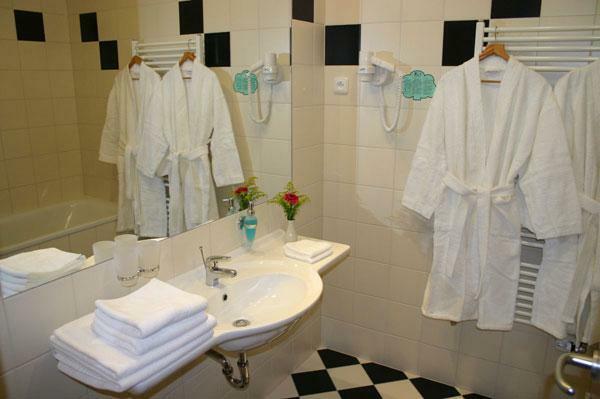 The guests have a choice of 56 luxurious, air-conditioned rooms each has its own bathroom, shower, toilet and hairdryer as well as direct-line telephone, safe deposit box, mini bar, TV set with satellite channels and Internet connection. They are distributed among 3 floors, all accessible by an elevator. 10 single rooms, 42 double rooms with variable beds, 3 large double rooms (apartments), 1 room for disabled guests, extra bed can be arranged, children's beds available, smoking as well as non-smoking rooms at guests' disposal.